Israeli occupation forces (IOF) raided Arub refugee camp to the north of Al-Khalil on Tuesday triggering clashes with young men. Eyewitnesses said that IOF soldiers stormed Jawabra suburb and the camp’s center firing metal bullets and teargas at civilians and houses triggering clashes with young men during which a number of them suffered from breathing difficulty. They said that the soldiers continued to fire teargas canisters not heeding the suffocating effect of their smoke. They added that soldiers also searched citizens at the main entrance to the camp. Earlier at dawn Tuesday, a number of young men threw five homemade firebombs at vehicles and busses carrying settlers near Halhoul town to the north of Al-Khalil. The Israeli 10th TV channel said that a Knesset member was among the settlers, adding that the incident took place near Karmi Tzur settlement, which was built on Halahoul land. It said that no casualties were reported but only minor damages to the vehicles and buses. A number of citizens suffered breathing difficulty in Tulkarem on Tuesday when Israeli occupation forces (IOF) raided the city’s Khaddouri university. Local sources said that IOF soldiers raided the university campus and set up a roadblock at its entrance and interrogated passing citizens. The sources said that confrontations erupted between students and IOF soldiers in which the soldiers used teargas to disperse the young men, adding that a number of citizens were treated for breathing problems. 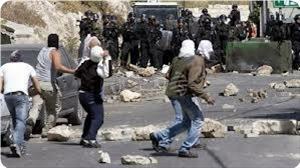 They said that the soldiers questioned students, who complained of similar IOF practices over the past three days. MK Moti Yogev (Habayit Hayehudi) has called for the reoccupation of Gaza Strip in its capacity as the only means of maintaining security. The Israeli 7th TV channel quoted Yogev as saying that the Palestinians “are adamant on constantly reminding us that we have an enemy. 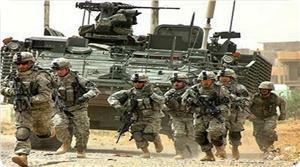 Ever since we withdrew from Gaza and Hamas and other terrorist organizations are strengthening their power”. He expected that any future battle in Gaza to be “more difficult and more dangerous”. “They are always digging tunnels and don’t rest. I read once that one thousand people take part in digging tunnels daily. There can be no coexistence in light of their preparedness for war,” the MK said. He said that soldiers should not go into those tunnels, describing them as “death tunnels”. He said that those tunnels should be blasted without risking sending soldiers into them. 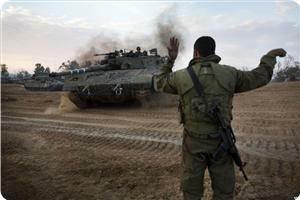 Yogev said that occupying Gaza was inevitable, warning that it would otherwise pose big danger. Israeli occupation forces (IOF) launched large-scale military maneuvers near villages to the east of Jenin at dawn Tuesday. Local sources said that hundreds of IOF soldiers in armored vehicles and military choppers were seen taking part in the maneuvers staged on hilltops and plain land in Jenin province. They said that the soldiers, using live ammunition, were assaulting targets in cultivated land lots in the area. In another separate incident, IOF soldiers had set up a roadblock south of Jenin on Monday night and detained citizens for hours until their IDs and vehicles were checked out, local sources said. They said that the soldiers asked for IDs of farmers passing through the Dotan military roadblock, south of Jenin. They added that the soldiers were deployed from that road barrier till the entrance of Yabad village and combed the entire area. 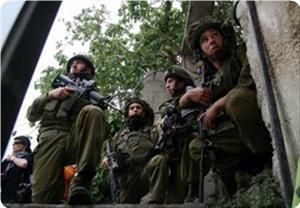 Israeli forces raided the city of Tulkarem and interrogated a number of Palestinian men in Dwar Shweika area. No reasons were revealed for the interrogations. Media sources said that Israeli forces prevented journalists from reaching the area to shoot the event, adding that the Israeli forces stormed the city for the second day in a row. Israeli occupation forces (IOF) opened artillery fire at a number of border areas in the Gaza Strip at a late night hour on Sunday. A field observer told Quds Press on Monday that the IOF artillery fired a shell at Juhr Al-Deek area to the south east of Gaza city with no casualties reported. He said that a similar shelling was reported targeting a deserted area to the east of Jabaliya, north of the Strip. Meanwhile, the IOF “Iron Dome” anti-missile system fired a number of projectiles to the east of Khan Younis, south of the Strip, while no rockets were being fired from Gaza. Israeli warplanes and reconnaissance planes did not stop flying over the besieged enclave amidst anticipation on the part of the people and resistance factions of an Israeli reprisal act to the operation near Khan Younis a couple of days ago. The Israeli shelling is the latest in a series of breaches of the calm agreement signed between the IOF and resistance factions in Gaza almost a year ago in Cairo. Two Palestinian teenagers were wounded in the Israeli occupation forces’ raid on Jaba village, south of Jenin, at dawn Monday. Local sources said that clashes erupted in the town after the IOF soldiers attacked the village and combed various areas in it. They said that the soldiers broke into the house of Lafi Hasan and ordered all its occupants out for two hours before serving him a notice for intelligence interrogation. The sources pointed out that the IOF combing of downtown, the municipality area, and the secondary school for boys triggered confrontations with young men. They said that young men threw stones and empty bottles at the soldiers who fired live and rubber bullets, sound bombs and teargas at them injuring two teens with rubber bullets. Israeli occupation forces (IOF) raided Arub refugee camp, north of Al-Khalil, on Sunday night and fired tear gas at young men protesting their invasion. Eyewitnesses told the PIC that the confrontations erupted after IOF soldiers stormed various suburbs in the camp and fired teargas canisters and metal bullets at houses prompting young men to throw stones at them. They said the confrontations took place in a number of suburbs and at its main entrance and lasted for a few hours, noting that a number of citizens were treated for gas inhalation. Israeli occupation forces (IOF) raided the village of Beit Lakia, west of Ramallah, at dawn Monday and broke into and searched the home of martyr Mohammed Asy. Local sources said that a big number of IOF soldiers mounting jeeps encircled the home of Asy and served summonses to his father and brother. They said that the soldiers threatened both that they would be arrested if they did not show up for the intelligence questioning. Asy was killed in a clash with IOF soldiers last month. He was a member of the Qassam Brigades, the armed wing of Hamas. In another separate incident, IOF soldiers raided Tulkarem on Monday morning and interrogated citizens in the streets. Locals said that IOF soldiers in five patrols stationed in downtown Tulkarem and picked citizens at random for questioning and ID check-up. The sources pointed out that the soldiers chased journalists, who took photos of the incident, and confiscated their recordings, adding that no arrests were reported. Israeli bulldozers have uprooted more than 25 olive trees after bulldozing large tracts of agricultural lands for the benefit of Brochan settlement, Palestinian farmers said. For his part, the researcher Khaled Ma'ali stated that expansion work have been carried out in Brochan settlement built on Palestinian lands west of Salfit aiming at linking the settlement with Trans-Samaria settlement road. Meanwhile, a Palestinian report revealed that 1900 olive trees were uprooted by Jewish settlers in West Bank during last month in coincidence with the olive harvest. Anti Apartheid Wall And Settlements Popular Campaign stated that it has documented hundreds of settlers' daily attacks and violations against Palestinians and their properties during October in the West Bank. The report stated that Palestinian lands adjacent to Israeli settlements witnessed an escalation in settlers' attacks during olive harvest. Meanwhile, occupation forces prevented, on Sunday, Palestinian farmers from having access to their lands in order to pick olives in the West Bank. For his part, the coordinator of the Popular Campaign Against the Wall and settlement, Salah al-Khawaja said in a press statement that the farmers were able to have access to their land after waiting for more than two hours amid heavy presence of police and occupation forces. The Popular campaign has launched a new campaign named "you're not alone" in support of Palestinian farmers who are subjected to continuous and escalated Israeli attacks and violations. 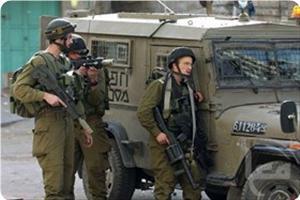 Israeli soldiers invaded different parts of the occupied West Bank, and kidnapped at least eight Palestinians. Two Palestinians were shot and injured by army fire near Nablus. Eyewitnesses have reported that dozens of soldiers invaded Abu Dis town, in occupied East Jerusalem, broke into and ransacked the home of Nasser Jaffal, before kidnapping his son Issa, 19 years of age. They added that the soldiers forced the family out of their home before violently searching it, and took their son to an unknown destination. Issa is a former political prisoner who spent 13 months in Israeli detention facilities. Furthermore, soldiers invaded the southern West Bank city of Hebron, kidnapped four Palestinians, and violently assaulted a worker. Local sources said that the soldiers kidnapped Nidal Abdul-Mo’ez Maraqa and his brother Kifah, in Wad Al-Harya area, south of Hebron. 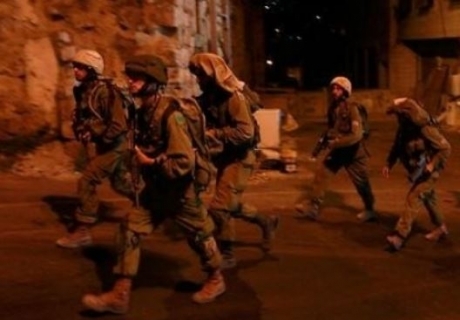 Soldiers also invaded Tarqoumia town, west of Hebron, searched several homes and kidnapped two residents identified as ‘Ala’ Mazen Dababsa, 21 years of age, and Ra’ef Mohammad Qabaja, 21. In addition, Israeli police officers violently attacked Badawy Moneer Abu Jwei’ed from Al-Majd village, southwest of Hebron, as he was heading to work in the 1948 territories. He was moved to the Soroka Hospital in Beersheba (Be’er As-Sabe’). The army also installed various roadblocks at the entrances of a number of villages and towns in the Hebron district, especially on the main road linking between Yatta and As-Samoa’ town, and the main entrance of Ithna town, west of the city. Two more Palestinians have been taken prisoner after scores of soldiers invaded Awarta village, southeast of the northern West Bank city of Nablus, and violently searched several homes. One of the two residents has been identified as Ayman Darawsha. 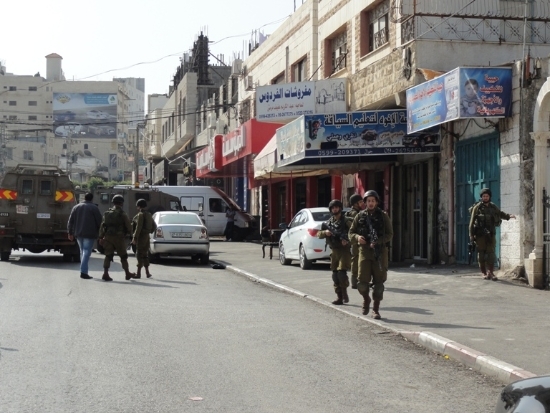 Soldiers also invaded Beta town, south of Nablus, and drove into its streets, no arrests were reported. On Monday morning, two Palestinian youths were shot and injured by Israeli military fire after dozens of soldiers invaded Jaba’ town, south of the northern West Bank city of Jenin. 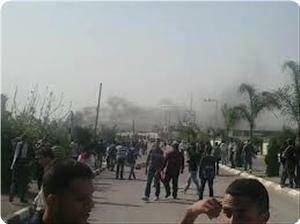 Dozens of residents suffered the effects of tear gas inhalation. Medical sources said that Mohammad Mahmoud Alawna, 19 years of age, and Mo’een Nasser Alawna, 18, were shot by a rubber-coated bullets in their legs. Soldiers also handed one resident, identified as Lafy Hassan Khaleeliyya, a military warrant ordering him to head to the Salem military base for interrogation. The latest violations are part of ongoing Israeli invasions and assaults against the Palestinians, their property and lands, in different parts of the occupied West Bank. The Israeli Military's Advocate General ruled Sunday that Palestinian villages can continue to be used for Israeli military trainings under the principle of “belligerent occupation”. This is an Israeli military concept that allows its soldiers virtual impunity with regard to their behavior in the Occupied West Bank and Gaza Strip, under the pretext that the Israeli military is the sovereign authority over the entire territory. This edict contradicts international law and numerous United Nations resolutions that question the Israeli claim to sovereignty over all Palestinian land. The Israeli military frequently invades Palestinian towns and villages, with soldiers running through streets and alleys with loaded automatic weapons, ransacking homes and terrorizing residents, for the purposes of 'training'. When a human rights organization filed a challenge to this practice earlier this year after several particularly egregious 'training' raids, the Israeli military said they would respond to the complaint. Today, several months later, the military ruled that the trainings are all in accordance with the dictates of martial law as it applies to the Israeli military occupation of Palestinian land in the West Bank and Gaza Strip. 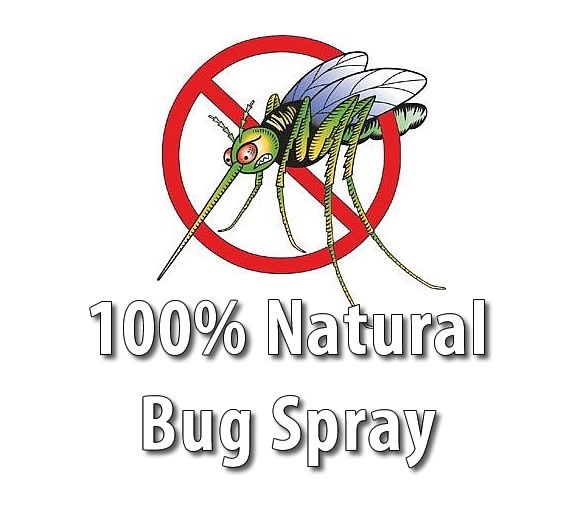 However, the Palestinian residents subjected to these 'training exercises' and the human rights groups representing them have provided numerous examples of the soldiers tearing through homes and yards, breaking into houses, running up and down stairs and taking over rooftops of family homes as part of these exercises. All of the villages where these trainings take place have experienced actual Israeli military invasions on a regular basis, and since the military makes no attempt to differentiate or announce that any particular invasion is a 'training exercise', the villagers are just as terrorized as they are during actual raids. An unmanned aerial vehicle operated by the Israeli military has crashed during an operational flight in north of the besieged Palestinian enclave of Gaza Strip. A security source of the Palestinian resistance movement, Hamas, speaking on the condition of anonymity, said on Sunday that they had "captured the Israeli drone that was flying over east Jabalia this morning." The Israeli army, however, denied the claim, saying a skylark tactical mini-drone has crashed in the Gaza Strip due to a technical malfunction. Israel uses drones over the besieged Gaza Strip to collect intelligence, and occasionally to carry out airborne attacks that have claimed lives at times. On July 14, Israeli military shot down one of its Hermes 450 drones over the Egyptian border due to a technical failure. The flight operators noticed the breakdown moments after the flight, and decided to perform a controlled crash on the Israeli side of the border. Israeli security forces combed the region and collected the remains of the aircraft. A similar incident occurred in May, when the Israeli regime shot down one of its Heron-class drones, known as Shovel, over the Mediterranean Sea following an engine malfunction. Israeli occupation forces (IOF) advanced into northern Gaza Strip at a late night hour on Saturday amid intensified flights of warplanes. A field observer told Quds Press that IOF soldiers in armored vehicles escorted military bulldozers into the former settlement of Netsanit, north of Beith Lahia town. He said that the invading forces combed the area before retreating beyond the border fence. The Hebrew radio said that army units were summoned to the area after the discovery of “suspicious traces” near the northern fence of the Gaza Strip. 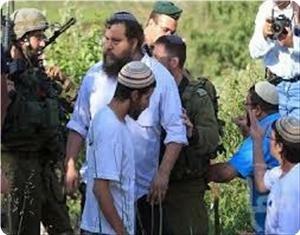 A group of Jewish settlers raided Um Al-Khair village to the east of Yatta town, south of Al-Khalil, on Sunday under Israeli army protection and attacked citizens. Activist Ratib Al-Jabour told the PIC that the settlers tried to expel inhabitants and threatened them with death if they did not abandon their village. The settlers tried to implement demolition orders against village homes in order to pave way for the building of more housing units in their nearby settlements of Karma’il and Ma’on, Jabour added. The activist said that confrontations took place between the settlers and the inhabitants, who were defending their land and property. A number of Jewish fanatic settlers raised the Israeli flag inside the Aqsa Mosque in occupied Jerusalem on Sunday. 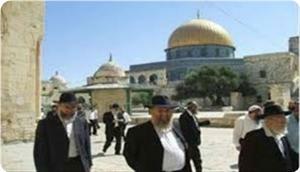 The settlers broke into the holy site and performed Talmudic rituals and chanted religious hymns. Ir Amim movement’s executive director, Yehudit Oppenheimer, described the settlers’ act as “provocative”. Ir Amim is an Israeli left-wing non-profit organization founded in 2004 that focuses on the Israeli-Palestinian conflict in Jerusalem. Israeli occupation forces (IOF) stormed the eastern areas of Nablus city at dawn Sunday and stationed near the refugee camps of Askar and Balata. Local sources said that the soldiers stayed for an hour before retreating to Elon Moreh settlement. Meanwhile, IOF soldiers assaulted dozens of foreign activists in Khirbat Al-Tawil hamlet near the Nablus villages of Beit Forik and Aqraba on Saturday night. 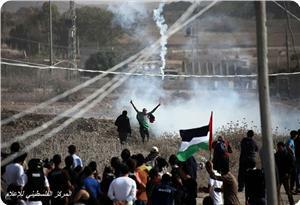 Locals said that the soldiers fired sound bombs and teargas canisters at the activists. 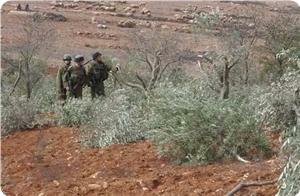 IOF patrols had destroyed farmers’ cultivated land in that same area last week. Member of the Palestinian Legislative Council for Nablus, Mona Mansour, condemned the attacks carried out by the Israeli occupation forces against the Palestinians in different parts of the West Bank. She told Quds Press that the Israeli occupation has never stopped its crimes and aggressions against the Palestinians, which continued in light of the international silence. The MP for the Change and Reform Bloc pointed out that the continuation of the PA-Israeli negotiations encouraged the “Occupation State” to commit more crimes and arrests against Palestinian leaders. "The occupation is holding the Palestinian leaders, especially leaders of Hamas movement, inside its prisons to prevent them from exposing its crimes and abuses against the Palestinians," Mansour added. She stressed that the resistance movements will not be discouraged by the arrests and assassinations, and will continue to defend their land and people. Dozens of Palestinian citizens suffered from suffocation during clashes that erupted at dawn Saturday in the south-west of the city of al-Khalil. Eyewitnesses said the clashes erupted after the Israeli occupation forces (IOF) stormed the town of Beit Awwa and fired tear gas canisters at the houses, which caused dozens of citizens to suffer breathing problems. They added that the Israeli soldiers intensified their presence in the vicinity of the town and erected a number of roadblocks at its entrances, where they stopped the military vehicles and checked the identities of passers-by. Earlier the Israeli occupation forces launched a military campaign in the town of Beit Ummar, also in al-Khalil, on Friday. Mohamed Awad, coordinator of the Popular Committee against the Wall and Settlement in Beit Ummar, told Quds Press that nearly one hundred Israeli soldiers broke into Beit Ummar village, and fired rubber bullets and tear gas grenades at Palestinian youths who attempted to confront the invading forces. During the clashes, which lasted four hours, a young man was injured by rubber bullets while dozens of others suffered breathing difficulty from gas inhalation. Awad added that the Israeli soldiers also attacked the Palestinian worshipers who were heading to the mosque to perform Morning Prayer, and checked their identity cards. Two young men were arrested during the military campaign, following a raid into their houses. The IOF also raided another Palestinian house and a bakery and held the workers inside it. In Nablus, Israeli soldiers closed on Saturday morning Zatara checkpoint, south of the city, preventing thousands of Palestinian vehicles from moving between the cities in the north and center of the West Bank. Thousands of Palestinians and a number of international activists protested on Friday afternoon in different parts of occupied West Bank and Gaza Strip on the 96th anniversary of Balfour Declaration. The protests witnessed violent clashes with the Israeli occupation forces (IOF) that fired live bullets and tear gas bombs. A number of injuries were reported among the protesters. In Gaza, the participants managed to raise the Palestinian flag on the border fence before the Israeli army opened fire on them and at Palestinian houses in Shojae'ya neighborhood. Nearly 16 Palestinian youths were treated for breathing problems during the demonstration against Balfour Declaration due to the IOF firing of teargas at them, medical sources said. In West Bank, IOF closed Beta town's entrance, southern Nablus, after a Molotov cocktail was tossed at a settler's car. Violent clashes erupted in different parts of West Bank cities and towns between Israeli soldiers and Palestinian youths resulting in a number of arrests among the protesters. PIC correspondent reported that three Palestinians were injured during clashes in Bil'in village, west of Ramallah, after IOF soldiers raided the town and fired rubber bullets and tear gas bombs, causing dozens of suffocation cases. Hundreds have also protested outside Ofer prison, south of Ramallah, where clashes were reported between the protesters and IOF troops, a PIC reporter said, adding that two Palestinian young men were injured with rubber bullets. Four Palestinians have been killed and several Israeli soldiers have been wounded in clashes near the separation fence between the Gaza Strip and Israel, reports say. Israeli regime forces launched an attack on an area near the fence in the city of Khan Younis, located south of Gaza late on Thursday. 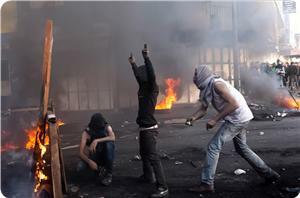 Five Israeli soldiers were injured in the clashes. In a similar incident on Thursday, a Palestinian man was killed in Khan Younis after a number of Israeli tanks crossed the separation fence into the coastal enclave. Gaza has been under Israeli siege since 2007. The Israeli military launches frequent attacks on the besieged Palestinian territory, claiming the raids are being conducted for ‘defensive purposes.’ However, disproportionate force is always used, in violation of international law, and civilians are often killed or injured. In November 2012, Israeli military forces carried out the so-called Operation Pillar of Defense I on Gaza. Over 160 Palestinians, including women and children, lost their lives and about 1,200 others were injured during the eight-day war. The 1.7 million Palestinians of the Gaza Strip are living in what is called the world’s largest open-air prison as Israel retains full control of the airspace, territorial waters, and border crossings of the territory. An IDF force operating on both sides of the Gaza border fence was hit after a bomb went off on Thursday night. 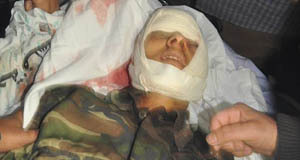 One soldier was seriously injured, another moderately injured and three sustained light wounds. It was initially believed the troops – Golani Brigade combatants backed by Engineering Corps soldiers – were hit by mortar fire but it was later revealed that they were hit by an explosive device. The five men, including one officer, were taken to the Soroka Medical Center in Beerheba. The troops were at the scene as part of the efforts to uncover additional parts of an underground terror tunnel that was located in the area a month ago. The force returned fire. Palestinian sources reported that an IDF tank opened fired at a terror cell belonging to Hamas' armed wing - the Izz al-Din al-Qassam Brigades, which was situated east of the city of Khan Younis in south Gaza. The Palestinians further reported that during exchanges of fire between terrorists and IDF forces near the city of Abasan in south Gaza, a Palestinian terrorist was killed and another was wounded, apparently from IDF tank fire. 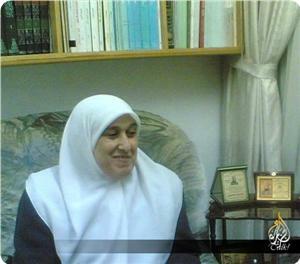 The Palestinians identified the terrorist who was killed as Rabiya Barakeh, 21. The IDF later bombed a tunnel in the southern Strip. According to the Palestinians, the incident followed the limited entry of IDF forces into Gaza, near the border fence, but Israeli officials said the forces operated beyond the security fence but still within Israeli territory. The IDF recently uncovered in the Abasan area a 1.5-kilometer long tunnel that stretched from Gaza to the fields of Kibbutz Ein Hashlosha. The tunnel was meant to facilitate a complex terror attack involving an assault on soldiers or civilians. Earlier this week the rocket fire on south Israel resumed after nearly a month of calm. Two rockets were fired from the Strip in the early hours of Monday morning. One was intercepted by the Iron Dome air defense system. 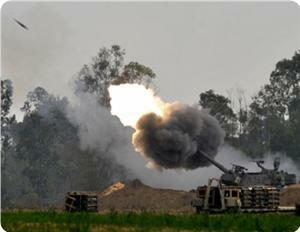 The IDF retaliated a few hours later by attacking rocket-launching pads in north Gaza. Despite protests, IDF security details for the 13 Gaza-vicinity communities were officially terminated on Thursday morning, as soldiers left their posts and turned over authority to the local residents. Residents of Netiv Ha'asara demonstrated against the move on Wednesday, but on Thursday held an emotional farewell ceremony for the departing soldiers. Two Palestinians killed in less than 24 hours. Thursday at night [October 31, 2013] Palestinian medical sources in Khan Younis, in the southern part of the Gaza Strip, have reported the Israeli soldiers killed one Palestinian, and injured several others, east of the Khan Younis refugee camp. Medical sources said that Rabee’ Baraka, 22 years of age, was killed by an Israeli shell fired at residents in Abasan Al-Jadeeda, east of Khan Younis. Several Palestinians have also been injured in the attack. 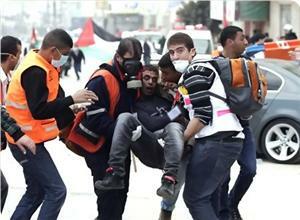 The body of the slain Palestinian, and the wounded residents, were moved to a local hospital. During the bombardment of the area, Israeli military choppers hovered overhead firing dozens of rounds of live ammunition, and flares. 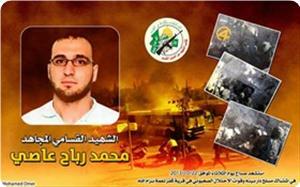 The Al-Qassam Brigades, the armed wing of the Hamas movement, said that the slain Palestinian is one of its fighters. On Thursday evening, a number of armored Israeli military vehicles invaded the Al-Qarara area, east of Khan Younis, while Palestinian armed resistance groups said they fired homemade shells into adjacent Israeli areas. The Al-Qassam said that its fighters targeted a number of Israeli military vehicles invading an area in Khan Younis, and that Israeli tanks fired shells into several areas. The Israeli army said its soldiers carried out a limited invasion into the area, and fired a number of shells, allegedly in response to homemade shells fired from Gaza. Israeli military sources said that one officer was injured when a homemade shells was fired into the Eshkol settlement, close to the border with Gaza. The sour added that the soldier was seriously injured, and was moved to the Soroka Israel Hospital in Beersheba (Be’er as-Sabe’). On Thursday at dawn, dozens of Israeli soldiers shot and killed a Palestinian youth in Qabatia, south of the northern West bank city of Jenin, and wounded several others. The slain Palestinian has been identified as Ahmad Imad Tazaz’a, 22. He was shot by a live round to heat; several residents were kidnapped during the invasion.